Yesterday, one of the male teachers brought this to the staff room. 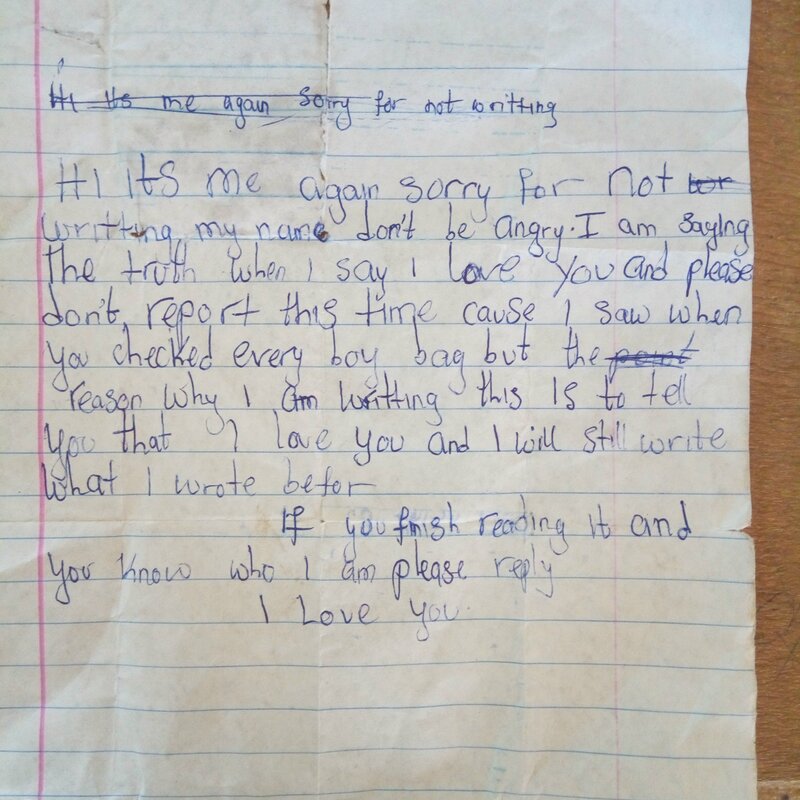 Some JSS 1 boy had written this to his crush who is a classmate of his. Apparently, he had anonymously written a letter to her before. On receiving it, she had reported it to their teachers and she had searched every boy’s bag in class, comparing their handwriting to the letter’s hoping to catch the lover-boy. To be honest, I blushed when this letter was read. Because his love is pure and unshakable, even by her obvious displeasure at the situation. I would give anything to have someone who really loves me enough to write me a letter o! Improving on his handwriting will go a long way in winning her heart. You wee nor kee me! I was going to say “awwwn” but saying “awwwn” is what is making the world to be spoiling small small😏. The narrative has now changed, yeah? I used to have this guy.. Always sending me this kinda letters.. He was the class captain so my name never made it to the noise makers list… We had planned to go to thesame high school after primary 5 but mehn I failed the School’s exam while he got the admission… The rest is history! Mine is still on my matter, till date!